Thank you for visiting our site! The Austin Shepherd Foundation believes that love really does save lives. We focus on bringing love, joy and hope to as many children as we can. 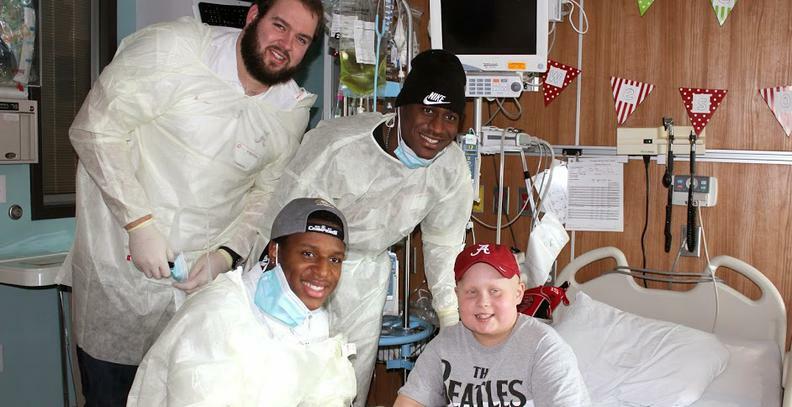 Through monthly visits to Childrens Hospital of Birmingham, fundraisers, football games, and more, we look to help children find a reason to live and fight through their ailments. The Austin Shepherd Foundation is a 501 (c)(3) non-profit charity. The entirety of our donations are given to Children's of Alabama's Child Life Department for the "Beads of Courage" programs. We are thankful to be able to make it possible for children to tell and record their own stories of hope and courage! Thank you for your support and God bless!